Home Blog Is BCAA Supplementation Beneficial for the Athlete Who Consumes Adequate Protein via Diet? 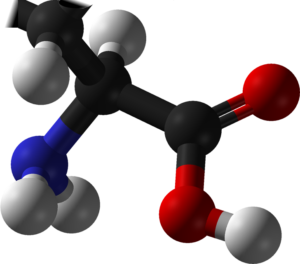 The term “branched chain amino acids” refers to 3 amino acids that are very similar in structure, leucine, isoleucine, and valine. BCAAs were popularized in the fitness industry circa 2004, so they’ve been around for over a decade and have gained tremendous traction throughout the bodybuilding community. They are used for muscle gains, but are especially useful for those bodybuilders who are looking to wittle away as much body fat as possible. The cutting process is catabolic; as the body gets leaner and leaner, it works harder and harder to hang on to body fat stores, and it begins to break down muscle in order to do so. This is where BCAAs come into play. They help to stimulate muscle protein synthesis, increase the rate of muscle protein synthesis, and help a lethargic food-deprived athlete to train more intensely. There are high levels of BCAAs in protein. So, if you eat enough protein in your diet, should you be supplementing with BCAAs as well? BCAAs in dietary proteins are peptide-bound to other amino acids, and so, in order to be beneficial (from a bodybuilding perspective), they need to be freed through digestion. Only then can they be absorbed into the bloodstream and impact muscle protein synthesis and protein degradation. This process can take several hours. In supplement form, BCAAs are free-form, meaning that they are not bound to other amino acids. This means that they do not require any digestion whatsoever! They are able to spike blood amino acid levels much more and much faster than their bound counterparts. And it doesn’t take much to reap the benefits. Even just a few grams of BCAAs in supplement form will spike BCAA plasma levels to greater extent than 30-40 grams of dietary proteins, which means that they can have a much more immediate and potent effect. Also, BCAAs in free form bypass the liver and gut; they go directly into your bloodstream. This allows them to serve as an immediate energy source during your workouts (isoleucine and valine can be converted to glucose and serve as an energy source during training). Additionally, these amino acids compete with tryptophan for entry into the brain. Tryptophan increases the expression of a neurotransmitter known as serotonin that can cause feelings of fatigue. So block the expression of serotonin and you will feel more energized for your workouts, even if you’re in a caloric deficit! I hope that this was helpful for you! A link to my BCAA review YouTube video is below, as well as a link to my favorite BCAA supplement, Machine Fuel by MTS Nutrition.